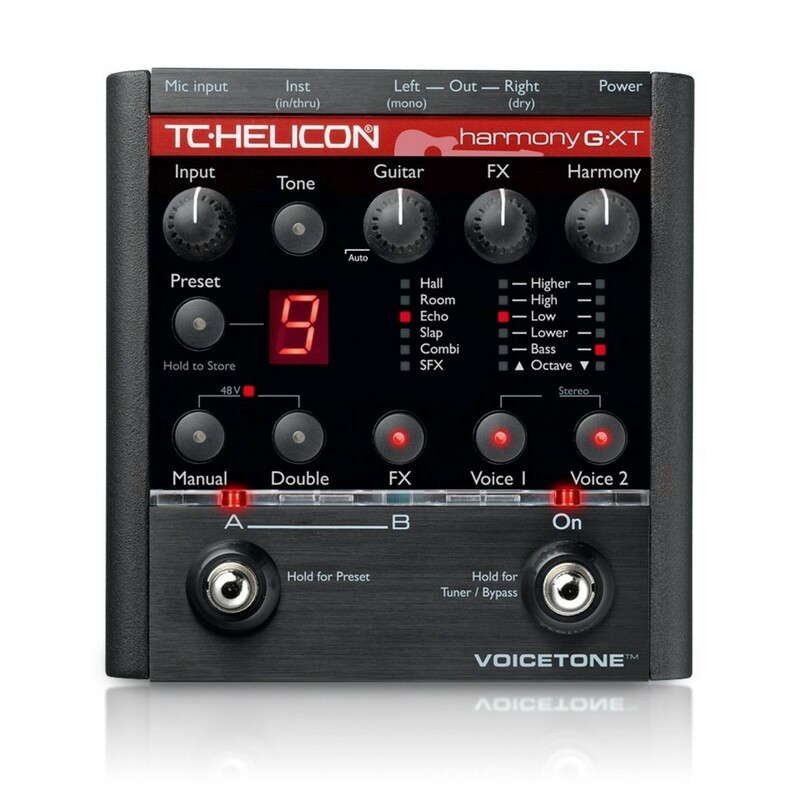 The TC Helicon VoiceTone Harmony-G XT Vocal/Guitar Processor is designed to deliver incredible harmonies and vocal effects to your performance. The processor generates excellent and natural harmonies by listening to both your guitar and voice and then deciding which harmony notes are best suited for the song. 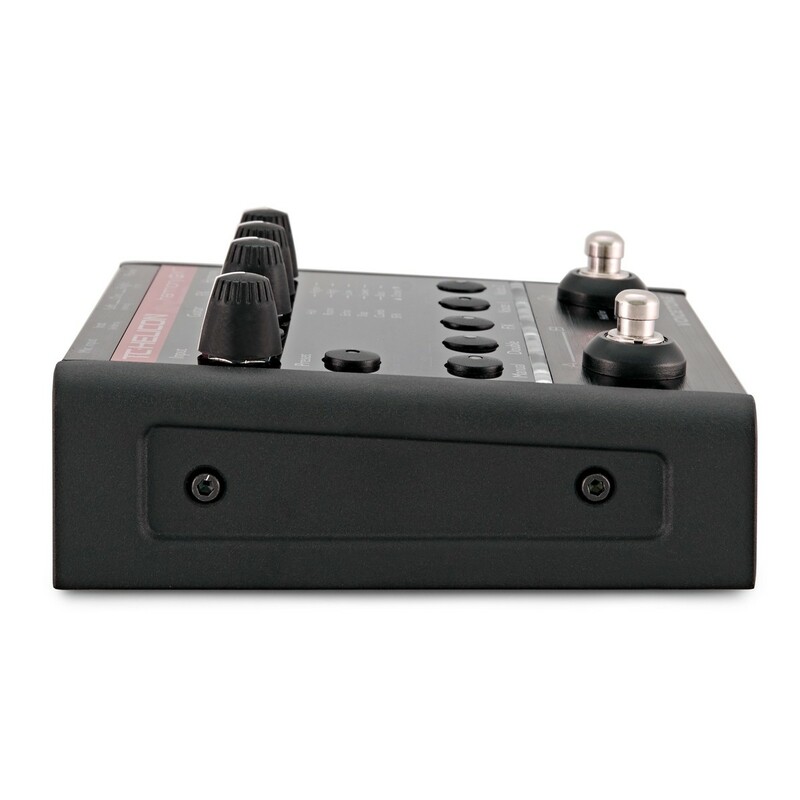 Users can pick between multiple premium-grade effects including doubling effects, reverb, pitch correction, tone control and A/B switching. With a total of 18 combinations of reverb and delay, the Harmony-G XT provides a truly versatile and flexible performance. When standing, users can switch between 5 factory presets or even create and store personal combinations. 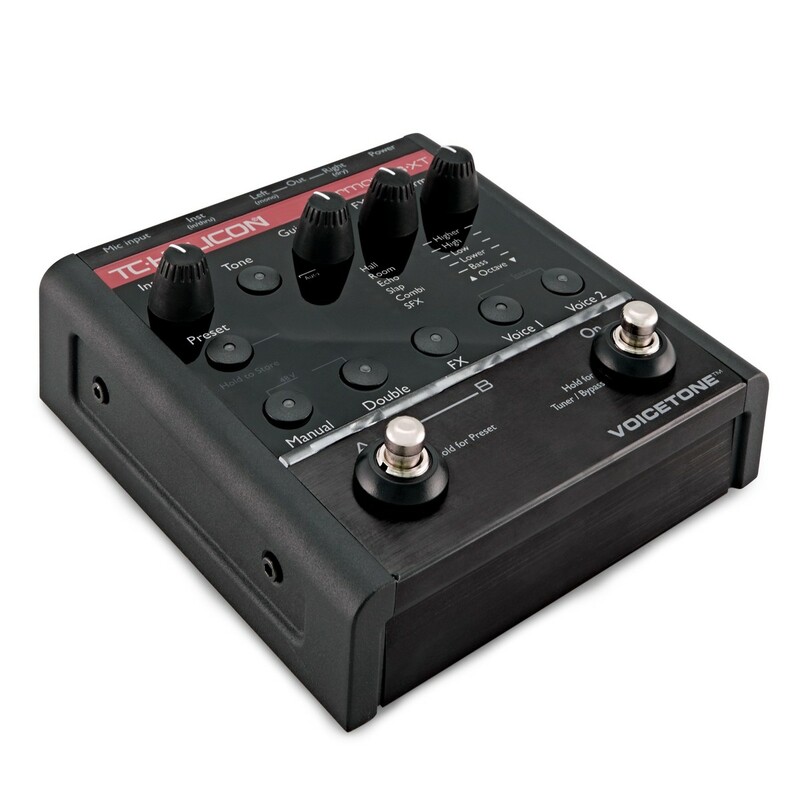 There are a wealth of features on-board the VoiceTone Harmony-G XT that allows users to effortless control harmonies and FX such as reverb, doubling effects, pitch correction, tone control and A/B switching effects. 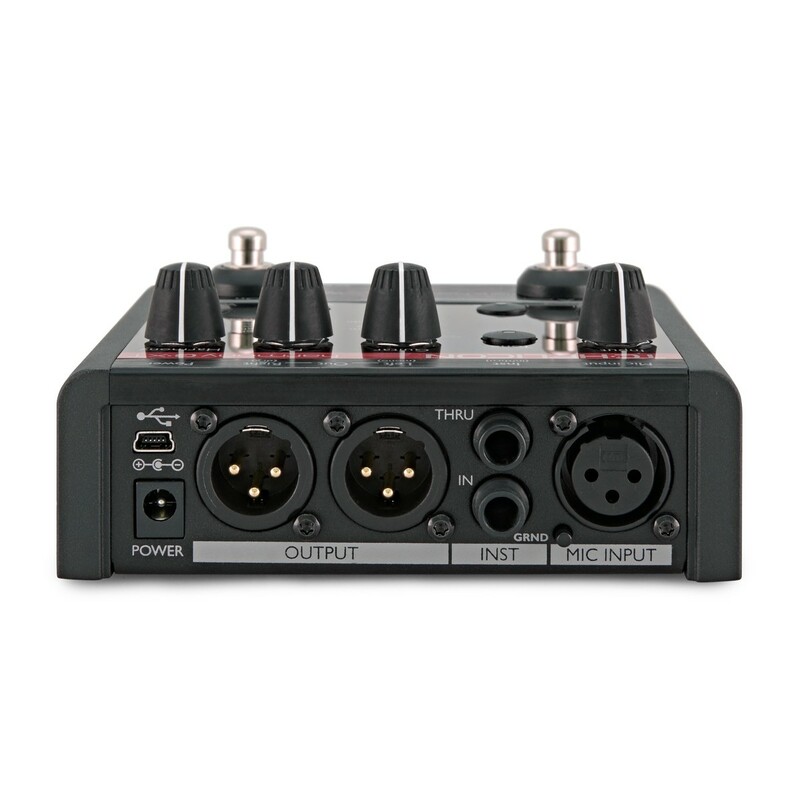 Live overdubbing generates a doubling effect with four options to choose from. These include 1 voice with tight humanisation, 1 voice with looser and more natural features, or 2 tight voices and 2 natural voices. The harmony voice interval range includes higher and low centred on 5th above or 4th below, high and lower on 3rd above or 6th below and then bass, which copies the root of your guitar chord even if your voice is hitting higher or lower notes.